After launching its philanthropy program across all of its regional branches in 2015, Kite Packaging will once again make donations to seven UK charities. 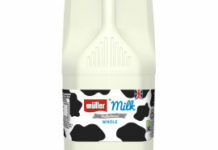 Each of the Kite Packaging sites located across the UK were given the opportunity to nominate a charity to become their ‘Charity of the Year’ as part of the companies CSR agenda. The nominated charity within each branch received a £1,000 donation and plans to continue fundraising for the charities throughout the year, with internal fundraising activities and individual support from employees. Kite Packaging’s e-commerce division were delighted to donate £1,000 in support of Alzheimer’s Society. Alzheimer’s Society invests in research into dementia care, cause, cure and prevention, and fight for the rights of everyone affected by dementia. 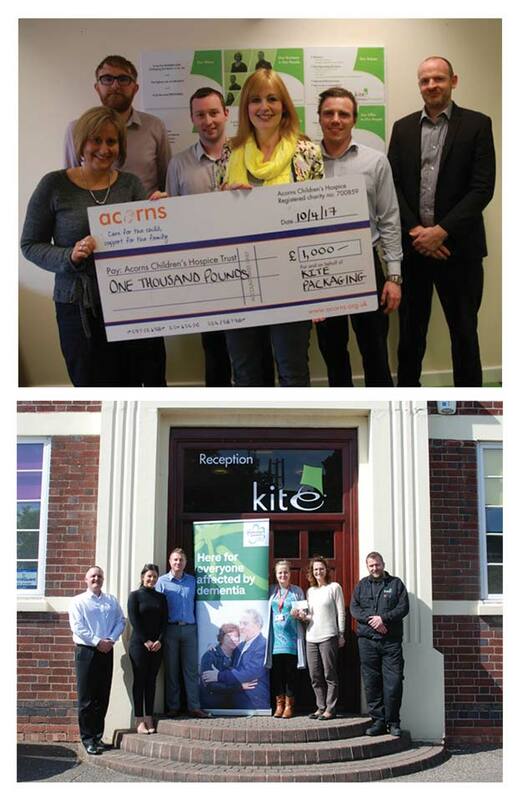 Kite Packaging’s Midlands based division were delighted to donate £1,000 to Acorns. Acorns provide care, support, fun and laughter for children with life limiting or life threatening conditions and their families. Kite Packaging’s Environmental division were delighted to donate £1,000 in support of Helen and Douglas house. Helen Douglas and House care for terminally ill children, young adults and their families through exceptional hospice care.